The best hostel I have ever been to. The people are very friendly, like a big family. The hostel is new and modern, and they have everything you need to live. Next time I go to Bournemouth, I will come back here. I really enjoy my stay in Baggies, the staff is so kind, his Manager is always around and available for any thing you need. 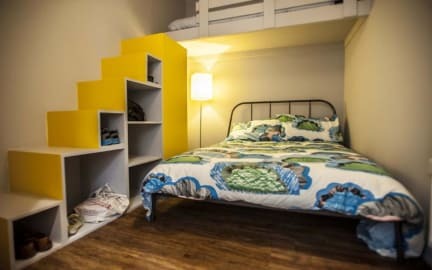 The place is new and comfortable, I could find everything I needed: towels, lockers, computer, wifi and also the place is close to the supermarkets, beach, park, pubs and bus/train station. The atmosphere is wonderful, you can share commons space or be by your own and enjoy the facilities. Showers and bathrooms are clean, also the rooms. I completely recommend this place.